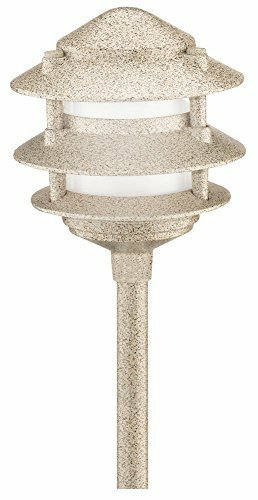 Malibu 8303-9200-LED Sand Finish Metal 3 Tier Pagoda Landscape Light, 20 Watt (20 Watt equivalent, 2.5 Watt Actual), 180 Lumens, Bulb Life 13.7 Years by Malibu C at Rodale Institute Store. MPN: 43237-2. Hurry! Limited time offer. Offer valid only while supplies last.